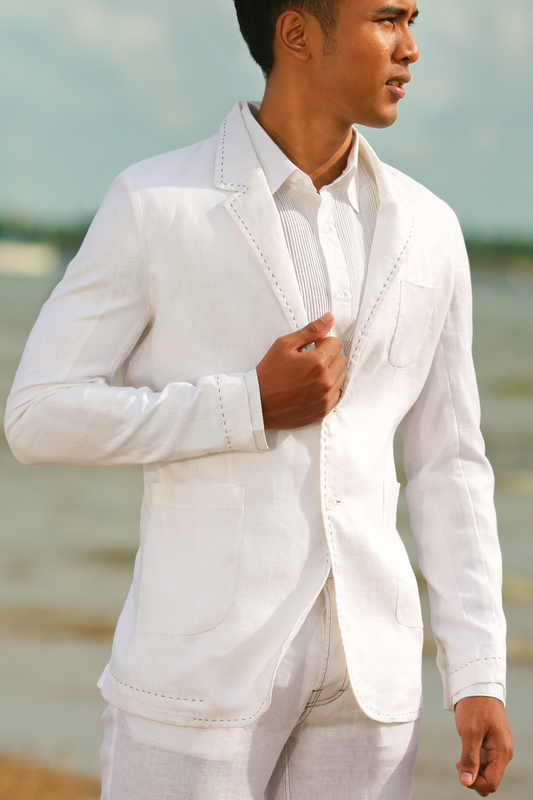 Pure linen attire including pants, shirts, vests, jackets, and three-piece suits for grooms and groomsmen, complete outfits specifically tailored for summer destinations and beach weddings. 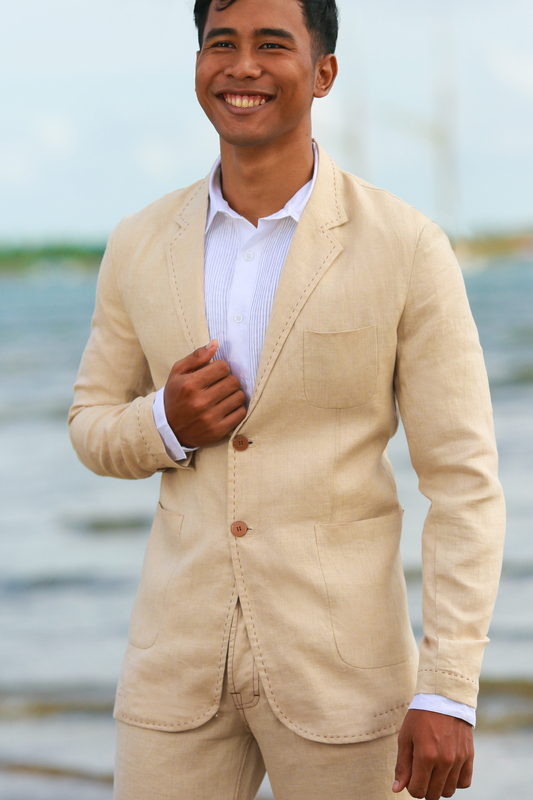 Both formal & casual styles. 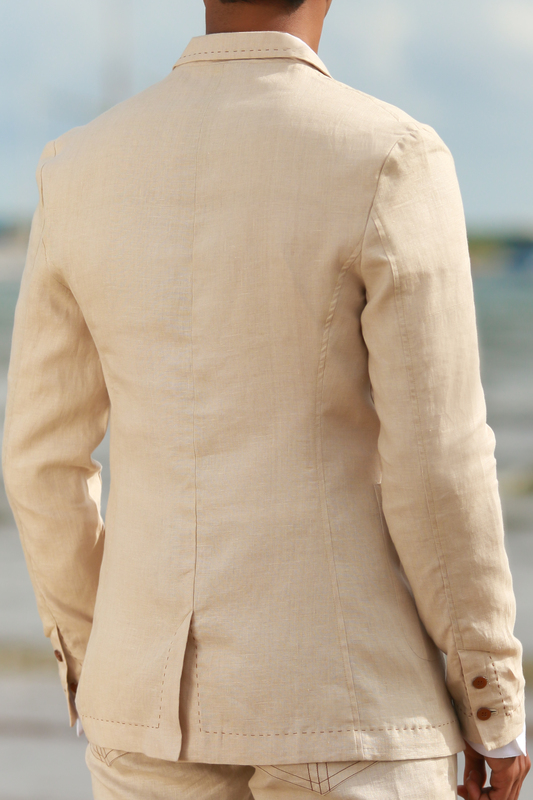 As a made-to-order suit, hand-stitch detail is optional, and color may be specified in order notes. Proper fit is dependent on the accuracy of the measurements that you provide us. Please measure carefully, following our illustrated guides in step 2. 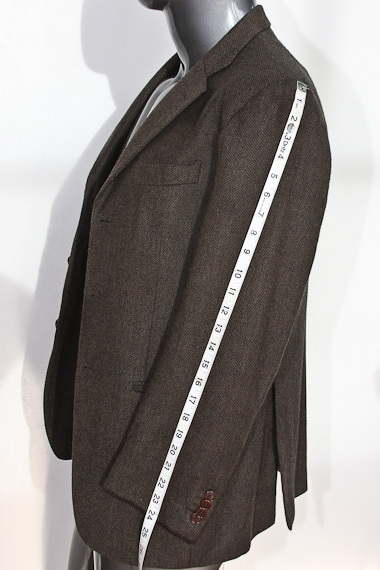 Due to the inherent limitations of remote custom tailoring, some local alterations may be required to achieve an ideal fit.